BizTalk Category for Udi Dahan's Blog The Danger of Centralized Workflows Integration: How and Where Bus and Broker Pub/Sub Differences Polymorphism and Messaging Logical and Physical Architecture BizTalk Blogs and UdiDahan.com, strange bedfellows? NServiceBus Distributed Topology Q&A No such thing as a centralized ESB BizTalk and Performance Request/Service state affinity – don’t. One of the topics that comes up a lot in the context of an Enterprise Service Bus (ESB) is that of integration. Unfortunately, many people take their ideas of reuse and design their integration as being done from a single place – both logical and physical. That unfortunately creates a bottleneck for all integration activities, where some are likely to be higher priority than others. You don’t need an ESB for integration. Most of the ESB products on the market, in focusing on integration, are addressing the wrong problem. Use something like MapForce (from Altova, the guys behind XMLSpy). At under $1200 for a dev license and handling mapping to/from XML, EDI, flat files, and relational databases, you can host the resulting mapping in any endpoint, as XSLT or even Java/C# – no need to have “the bus” do this for you. This is all you – no technology can do this for you. If anything, the most important thing is to get all the ugly mapping and protocol bridging stuff out of the way and let you focus on your logic. This is Single Responsibility Principle (un)common sense. The interesting thing about most of the protocol stuff mentioned above is that they’re inherently unreliable and also their performance at runtime is unknowable due to the total load on the target server. We wouldn’t want any of the above situations to cause our integration to “get stuck”. As such, it is best we think of our integration logic as a long-running process that manages other endpoints which do the actual protocol bridging and data transformations. This is one of the areas where NServiceBus, with its sagas can actually help a lot. Just like the other pieces of integration mentioned above, these sagas can run on any endpoint. You could alternatively look at other technologies like BizTalk and Business Process Execution Language (BPEL) engines, though many of those are designed to be physically centralized (just like many of the ESBs out there). By the way, if you do want to use NServiceBus together with BizTalk, Michael Stephenson has published some great white papers on getting the two to work together. 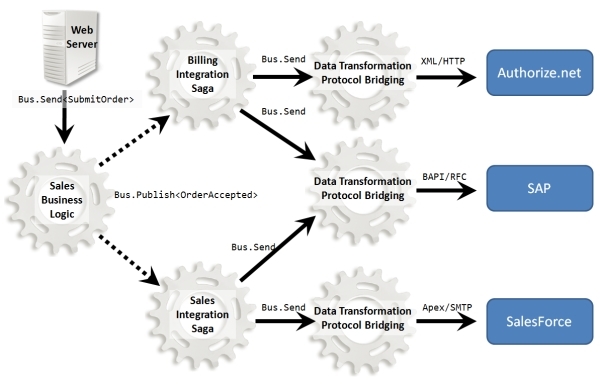 His latest is about integrating NServiceBus into BizTalk’s RFID processes – check it out. As you can see, integration is physically distributed across multiple endpoints. Not only that, but the integration logic is kept separate from the protocol bridging and data transformation, enabling independent versioning of each. Just as important, it makes it much easier to unit test that the integration logic is correct as we don’t have to simulate the target technologies. As you can see, you can get integration capabilities just as powerful as if you went with something like BizTalk, but without creating a single point of failure in your architecture. In terms of costs, it’s also quite a bit cheaper. For a high availability BizTalk deployment, you’ll be paying over $40,000 per CPU for the Enterprise Edition, not including the extra $7000 per CPU for SQL Server Standard Edition (clustered). For a clustered 4-CPU mid-size deployment, you’d be in the area of $200,000. For the distributed integration solution above, you’d be paying around $2700 in dev licenses (for /n software and Altova MapForce), and $500 per core for NServiceBus Standard Edition. The reason there’s per-core licensing for NServiceBus is that in a virtualized environment, you’ll be provisioning virtual cores to your virtual machines. No reason to pay for a quad-core CPU when all you’re using is a single core. You can also use any number of cores running NServiceBus Express Edition at no cost, so a mid-size deployment with say 8 cores running Standard Edition, and another 24 cores running Express Edition would cost (with the volume discount) an additional $3800 – a total cost of $6,500. We’ve been bitten by centralized architectures before. 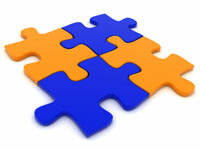 By having our integration distributed, we can version, upgrade, and scale each piece independently. You’ve seen how we can use simple, lightweight, and inexpensive technologies to create distributed integration solutions just as powerful and robust as the centralized ESB vendor-offerings out there, but at a tiny fraction of the cost. Next time the topic of integration is brought up, you’ll know not to be suckered in by re-branded EAI brokers. One of the things which often confuses people using NServiceBus for the first time is that it only allows an endpoint to subscribe to a given event from a single other publishing endpoint. The rule that there can only be a single publisher for a given event type is one of the things that differentiates buses from brokers, though both obviously allow you to have multiple subscribers. Message brokers, more broadly known and used on the Java platform, don’t come with this constraint. For example, when using ActiveMQ, you can have any number of endpoints come to the broker and publish a message under a given topic. Let’s say you’ve subscribed to a given topic, and have received two events – one telling you that the price of bananas next week will be $1/kg and another telling you that it’ll be $2/kg. Especially given that those events may have been published by any other endpoint via the broker. Is it first one wins? Last one wins? How about first one sent vs. first one received? Ditto for last. As a subscriber, can you really be held accountable for having the logic to choose the right one? Shouldn’t this responsibility have fallen to the publishing side? This is one of the big drawbacks of the broker, hub and spoke architecture. No responsibility. No single source of truth – unless everybody’s going to some central database, in which case – what’s the point of all this messaging anyway? 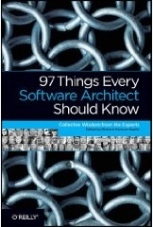 The Bus Architectural Style is all about accountability. If you are going to publish an event, you are accountable for the correctness of the data in that event – there is no central database that a subscriber can go to “just in case”. And the only way that you can be held accountable, is if you have full responsibility – ergo, you’re the only one who can publish that type of event. If you say bananas are going to cost $1/kg next week, that’s that. Subscribers will not hear from anybody else on that topic. Now, this is not to say that you can’t have more than one physical publishing endpoint. You see, buses differentiate between the logical and the physical. 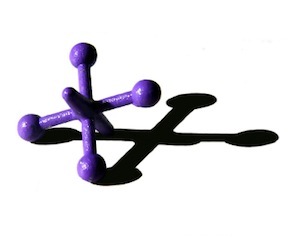 Brokers tend to assume that the physical hub-and-spoke topology is also the logical. In a bus, while there can only be one logical endpoint publishing a given type of event, that endpoint can be physically scaled out across multiple machines. It is the responsibility of the bus to provide infrastructure facilities to allow for that to happen in such a way that to subscribers, it still appears as if there is really only one publishing endpoint. The same is true about the subscriber – one logical subscribing endpoint may be scaled out across multiple machines. Unfortunately, there are many broker-style technologies out there that are being marketed under the banner of the Enterprise Service Bus. While some products have the ability to be deployed in both a centralized and distributed fashion (sometimes called “federated” or “embedded” mode), many do not enforce the “single publishing logical-endpoint per event-type” rule. Without this constraint, it is just too easy to make mistakes. The semantics of the message matter a lot. When looking at Service-Oriented Architecture, these messages are the contract and, as any lawyer will tell you, contracts need to be explicit and the intentions really need to be spelled out – otherwise the contract is practically worthless. Friction is sometimes a good thing – it prevents us from making mistakes. It keeps cars on the road. And because that’s not enough friction, we introduce curbs as well. If you’re looking for a service bus technology for your next project, check that it’ll give you the friction that you need to keep everybody safe. Really check what it is that the vendors are offering you – more often than not, it’s some ESB lipstick on a broker pig. To learn more about how NServiceBus supports this kind of publish/subscribe, click here. BizTalk Blogs and UdiDahan.com, strange bedfellows? So, it turns out that Microsoft has quietly launched a new community-style site. Titled "BizTalk Blogs", I wasn’t quite sure what my blog was doing there. It’s not that I never write about BizTalk – every once in a while I even find something nice to say about it My quick post on BizTalk and Performance is one such example. But, let’s face it, a lot of the work I do is to provide BizTalk-like features like routing, transaction-management, and choreography (orchestration) without the actual product. Apparently, I’m not the only non-BizTalk-only blogger there. Including such names as Christian Weyer and Michelle Leroux Bustamante , there is a veritable who’s who in the Microsoft Connected Systems ecosystem and, quite frankly, I’m surprised the bouncer let me in the door. So, this post is for my readers who, like me, have pretty much ignored anything looking like BizTalk for the past few years. Don’t let the name fool you. BizTalk Blogs is a valuable resource even for people who don’t care about BizTalk – and hey, you might even like what you start hearing about the future directions Microsoft is taking it. Via David McGhee’s Q&A with Dr. Don Ferguson, but read the whole thing. Q: Could you tell you your thoughts or preference for a distributed or centralized ESB? DON: there is no such thing as a centralized ESB. This is the problem with a lot of the products that call themselves ESBs. They are centralized brokers which may be clustered for availability. But they are in no way an implementation of the Bus Architectural Pattern. Please check this before cutting a check to your vendor. Also, understand that if you do security related things in your ESB, possibly as a part of your routing rules, that if the security infrastructure is centralized that means your ESB is too. Even if it really was distributed to begin with. I know I bad-talk BizTalk a lot, but I do it somewhat tongue-in-cheek and to get a rise out of people. BizTalk is a tool, something of a swiss army knife, you know, those huge, honking ones that have everything but the kitchen sink in them. One of the main areas where BizTalk gets a bad rap is in performance and scalability. On the other hand, the number of systems that I come in to assist with performance issues, that don’t use BizTalk, is still quite large. A systematic approach is needed in all cases. I ran into another BizTalk optimization story online that once again points out that disk IO is a good first place to look, as I wrote about in my Database performance optimization article. In closing, you need to be aware of the full environment. For instance, in BizTalk, it’s not just about messages per second. Session contention (multiple parties hitting the same session) can just lock things up tighter than, well, a tight thing. Designing for these things “up front” can save you very costly rewrites later. Request/Service state affinity – don’t. I saw this question today on the one of the blogs I follow, and seeing that it’s a question that variations of it pop up all the time, I thought that I’d chip in with my 2 cents. How do I store some state about the current request so that I can use it later during the same service operation? One analysis I read came at it from a technological angle – how to do this with WCF. I want to take a look at two other angles here. The first has to do with one interpretation of the question – in the course of handling that request, there are numerous objects involved. How can we make it so that all of them have access to the request data? From a technological perspective, the answer is simple – make it thread-static (in .net this is done by applying the ThreadStaticAttribute to it), or store it in some thread-local-storage. From a design perspective, though, things aren’t all that clear. Which property of which class contains the request data, so that we can mark it with such an attribute, or under what key is the data stored in the thread-local-storage? What I usually do is use my “IBus” interface, which exposes a “MessageBeingHandled” thread-static property. Any object that needs state about the current request makes sure to get an instance of “IBus” injected. The classic example of objects that need this data include message handlers (implementing the “IMessageHandler” interface). For more information about this design, take a look at this. Will that client’s state be lost? Well, not if we persisted it somewhere durable instead of just in memory. Will we stop servicing requests from that client until the original server becomes available again? Well, if the data was durably persisted, then any server could pick it up. And this is exactly what BizTalk does. You don’t want to implement BizTalk again, do you? I can tell that some of you are surprised to hear me say this. Such a small requirement, and already we need BizTalk? Did Udi really say that? Well, there is another, simpler way. If what you have is some kind of back-and-forth between the client and the service, you could use the Message History pattern and pack up the previous request data into the messages being sent. Although we’re increasing the message size, we’ve made it so that any server can handle any request and have access to all the previous data without creating some sort of durable contention area within the service like a database. Another option is to look at long-running workflow to model these interactions. Finally, when it comes to ultra-scalable systems, I strongly suggest keeping the network dumb and pushing the smarts out to the edges – the clients. If you don’t need to have one client pick up where another client left off, this could be the ultimate solution. It combines with the Message History pattern and ends up sending only the data necessary on subsequent requests, thus keeping message size to a minimum. Also, your service doesn’t have to handle the state any more making it capable of handling more concurrent clients. State management is the heart of any distributed systems development effort. Unfortunately, there aren’t any easy answers to it, but it’s important not to gloss over it if you want to have any hope of scalability in the future. Patterns help, but eventually we have to make the tradeoffs ourselves. Just don’t go running to one product or another in the hopes that it will make everything magically better.